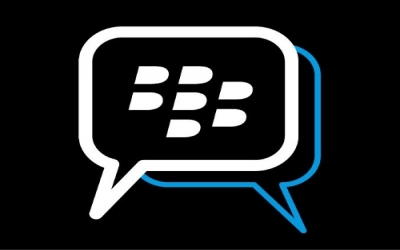 BlackBerry Messenger is a rare bright spot for the company these days. The exit sign is brightly lit on BlackBerrys executive suite. BlackBerry on Monday announced that its chief operating officer, Kristian Tear, and its chief marketing officer, Frank Boulben, are departing the company. The chief financial officer, Brian Bidulka, is also out, but will stay around as a special advisor to newly appointed interim CEO John Chen through the end of the companys fiscal year. BlackBerrys controller James Yersh will take over as CFO. The announcement is just the latest bloodletting at BlackBerry, as the company tries to re-establish itself a mobile market that no longer seems to have much use for it. Earlier this month, BlackBerry said that a deal that would have seen the company acquired by Fairfax Financial was dead. Thorsten Heins, the companys chief executive at the time, was fired. Chen replaced Heins as chief executive (and also took over as executive chair of BlackBerrys board) and BlackBerry announced plans to raise $1 billion through a sale of convertible notes to investors. In a statement Monday, Chen thanked the outgoing executives for their service to BlackBerry, adding that the moves are designed to "align my senior management team and organizational structure." In addition to losing some executives, BlackBerry said Monday that Roger Martin, a board member since 2007, has resigned.